Edna Louise Brown (née Williams) passed away quietly and peacefully on Saturday, Dec. 1, 2018, in New York City, with her son by her side. She was 86 years old. Born on July 12, 1932 in West Baden, Indiana, she was the second of six children born to Harold Lee Williams and Evelyn Louise Williams (née Rogers). Her father was from a family in Pike County, Ohio, and that is where Edna grew up, on a farm on Valley Road – near a crossroads called Nipgen. She had fond memories of milking cows, stacking hay in the hayloft with her sisters, and walking up a hill behind her farmhouse. At the top of that hill, she felt she was close to God. After graduating from Huntington High School, she worked as a clerk for the Columbus Police Department, typing up police reports until she met her future husband. At 22, she married John Delbert Brown, 25, of Chillicothe, Ohio, on Dec. 4, 1954. Together, they had six children: Timothy Edward; Harold Steven; Jon Tracy; Barry Wayne; Richie Alan; and David Paul. She started her married life in Chillicothe, Ohio, and the family then moved to Detroit, Michigan, during the city’s economic high point. In 1966, the family moved to Oberlin, Ohio, where they, apart from a brief period in Elyria, would remain to raise their children. Edna was a homemaker, a loving, caring person and an avid reader. She loved quiet conversation, and spending time with close friends and family. 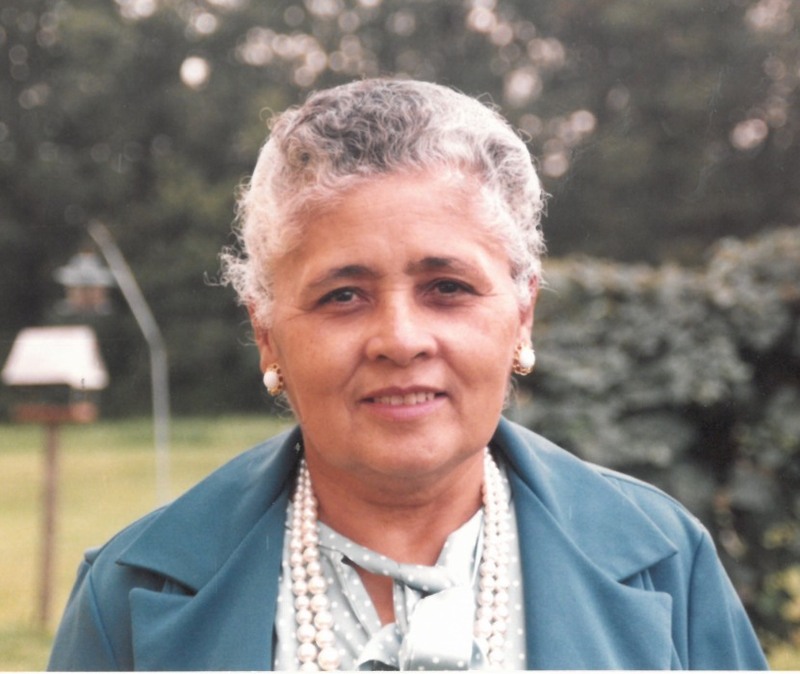 She was preceded in death by her father (1954), her mother (1992), her baby son Barry Wayne (1958); her husband (1997); her eldest son Timothy Edward (2009); and by her beloved sisters Sheila Mae Williams (2012) and Dorothy Ram (Nov. 8, 2018). Edna is survived by her sons Harold Steven and Richie Alan of Wellington, Ohio; Jon Tracy of Oberlin; and David Paul (and son-in-love Bill Canacci) of New York, New York. She is also survived by her brother Ronald Williams (Christine) and Rose Marie Williams, both of Bloomington, Indiana; brother-in-law Richard Ram of Pacifica, California; and by her granddaughter Aisha Nicole Brown and her great-grandson Devon Michael Brown of Chula Vista, California. She is also survived by many nieces, nephews and cousins. Her kindness and beauty will never be forgotten. May she rest in peace, and may her memory be a blessing. Services will take place at Rust United Methodist in Oberlin, followed by a reception at College Park Manor, 143 E. College St., Oberlin.